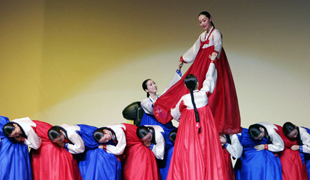 Traditional Korean culture can be categorized into intangible culture, tangible culture, and living culture. 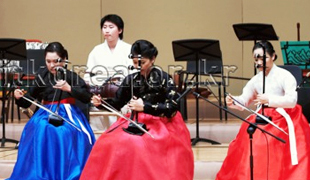 Intangible culture includes folk play, seasonal customs, thought of filial piety, and Korean medicine. Tangible culture includes structures, books, old documents, sculptures, and crafts. 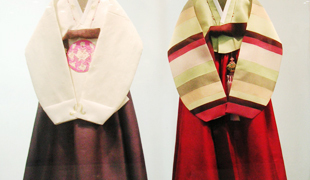 Living culture includes food such as doenjang (soybean paste), kimchi, and traditional teas, as well as household goods such as hanbok (Korean traditional clothes), hanji (Korean traditional paper), red clay houses, ceramics, and potteries. 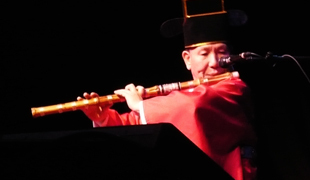 People of all ages play yutnori between January 1st and the 15th day of the lunar calendar. 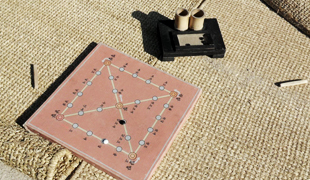 People can play this game anywhere if they have yut sticks, yut board, and yut mal. 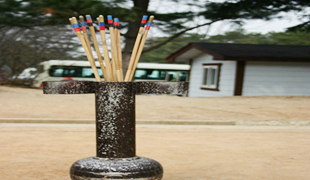 After throwing the yut sticks, move the yut mal according to the score. The first person to reach the last point wins the game. 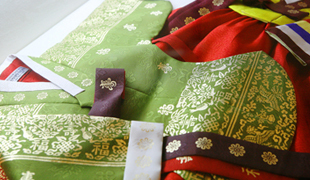 Jegi is a shuttlecock that is made by wrapping a coin or a round metal plate with thin, strong paper or cloth, and tearing the paper or cloth into thinner strands. The concept behind jegichagi is similar to that of hacky sack where your aim is to keep the jegi in the air by kicking it with either one foot or alternating between feet. 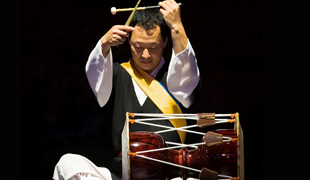 Jegichagi can be played as a single player game or within a group. 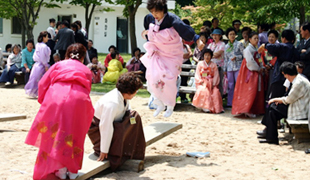 Yeonnalligi is a folk game where a kite is flown in the sky by maneuvering a reel. 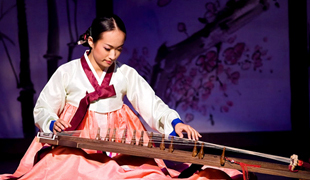 A traditional Korean kite is made by attaching thin strips of bamboo to paper. 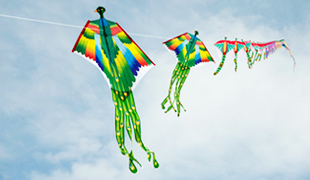 There are two kinds of kite flying games: flying the kite high and cutting the kite’s string (kite battle). 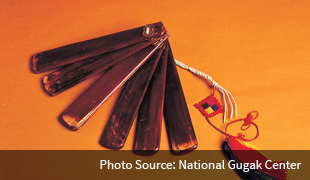 A kite battle uses a special string made of a mixture of glue and glass or porcelain powder to cut the opponent’s string. Various types and sizes of bottles are used in the game of tuho, and the sizes of the arrows varies as well. The rule of the game is to throw arrows into a jar. Scores are determined by the number of arrows thrown into the jar. 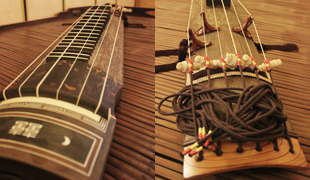 The bak is an idiophone made up of several pieces of birch wood strung together on one side and resembles the shape of a fan; when folded it’ll make a “ddak” sound.